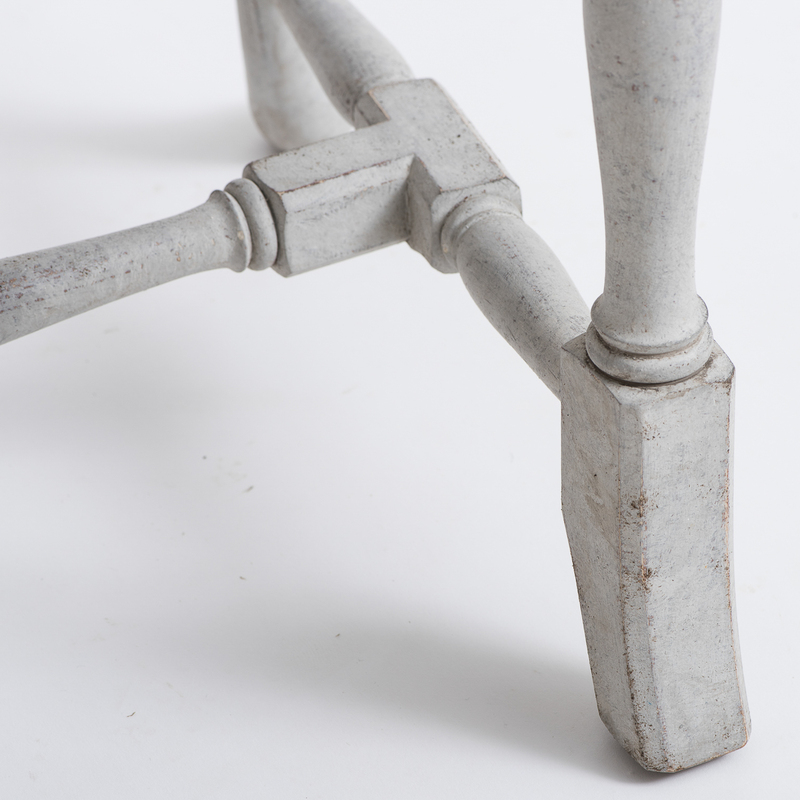 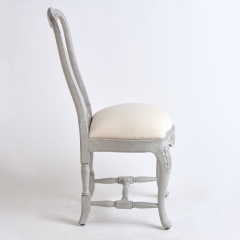 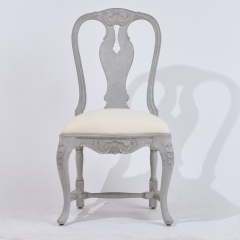 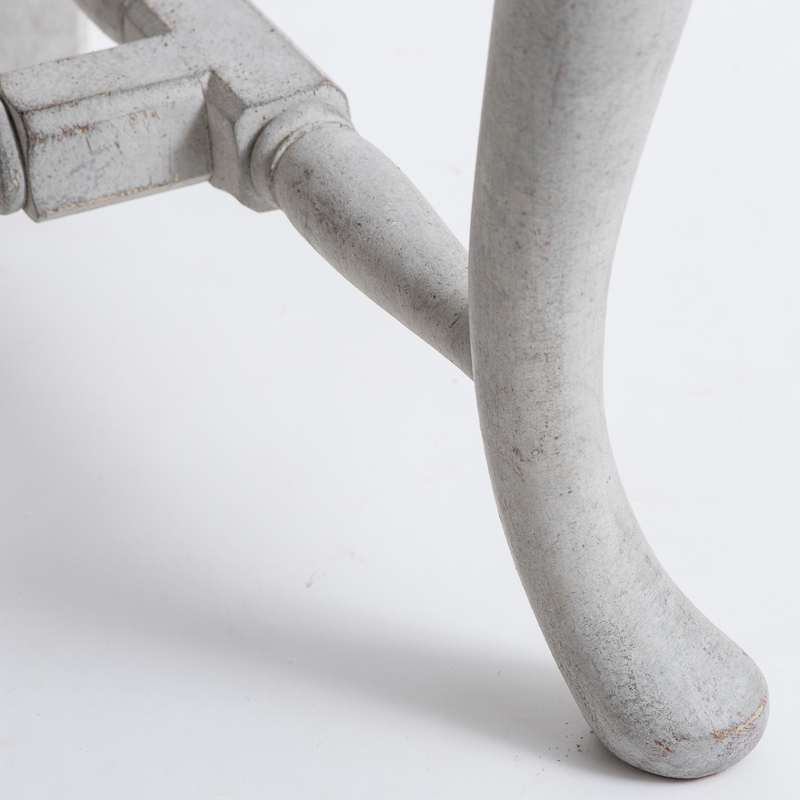 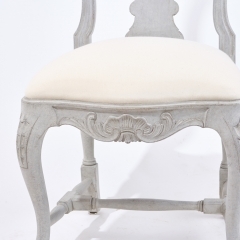 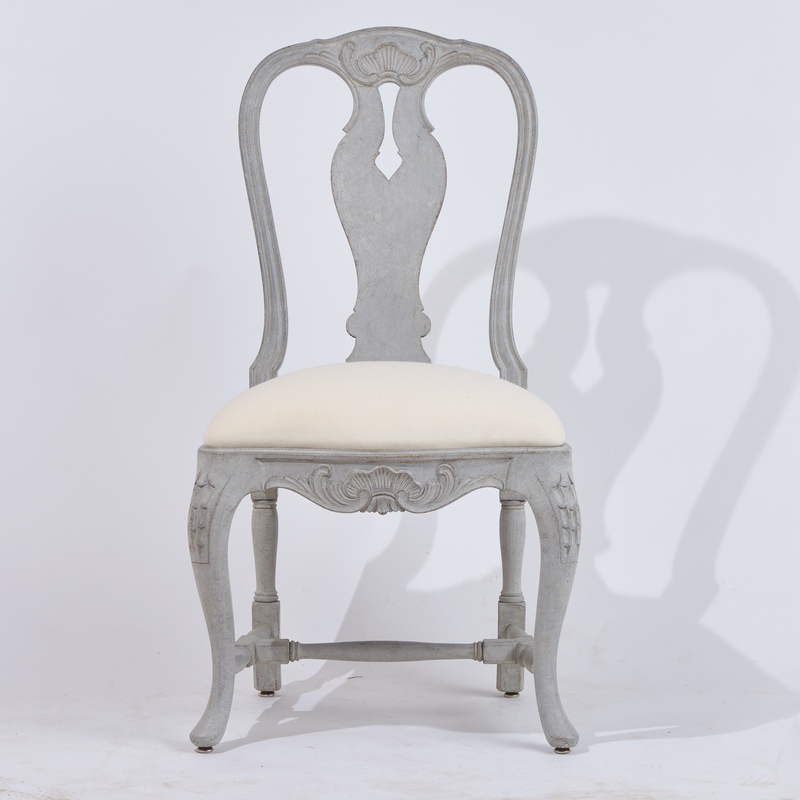 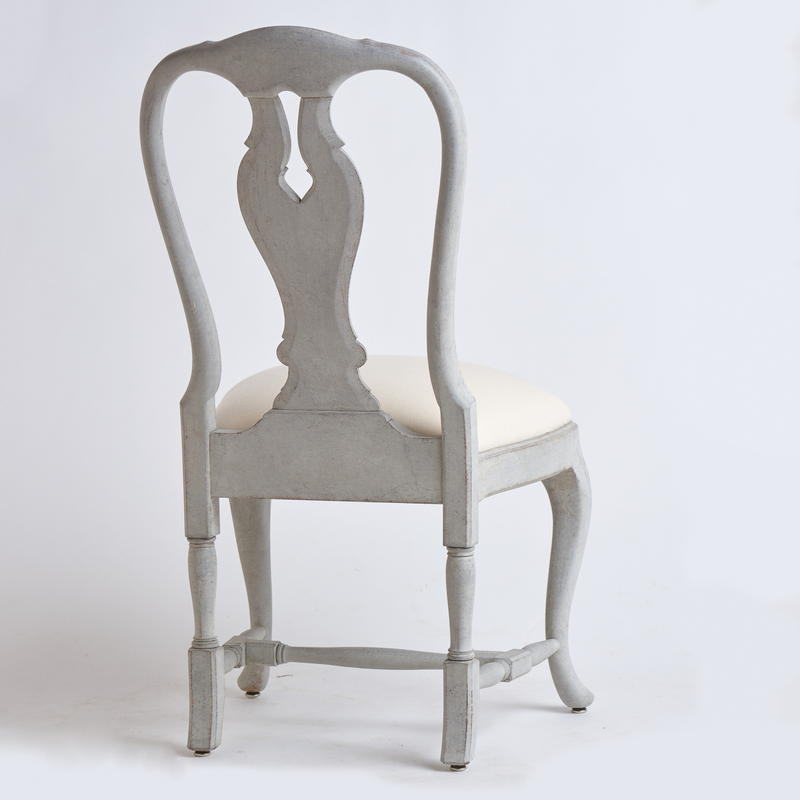 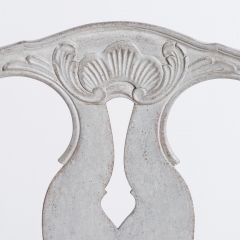 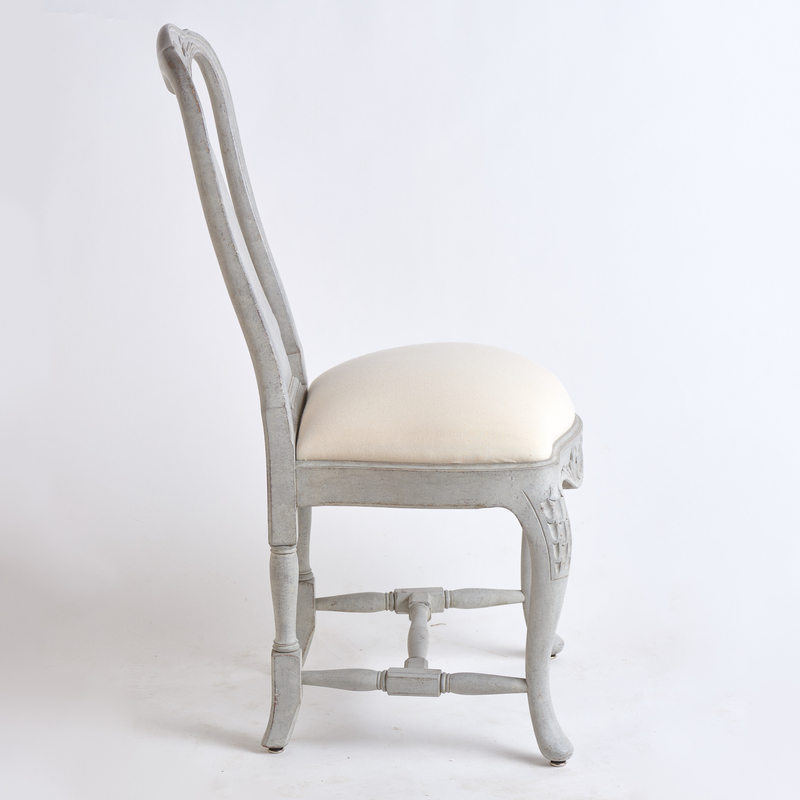 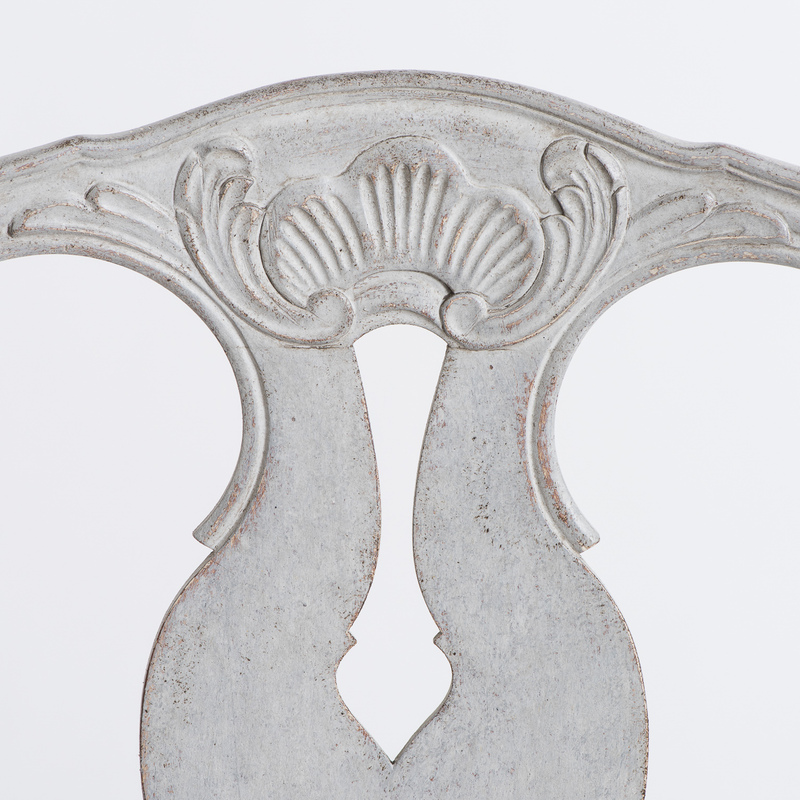 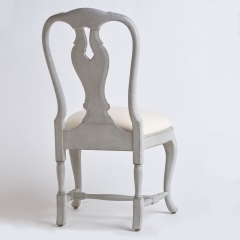 This set of chairs in the Rococo style have a nice light grey paint surface and carved shell motif on the crest typical of the Rococo period. 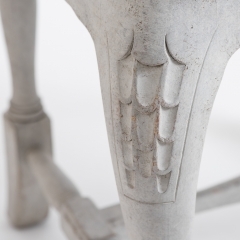 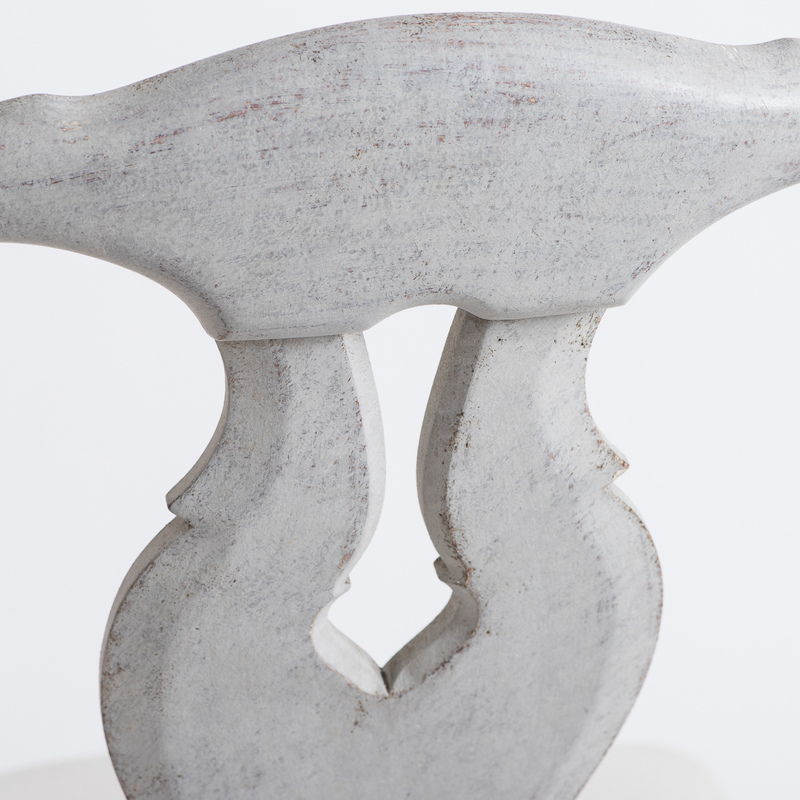 The shell design is repeated on the apron and the legs end in a nicely curved foot. 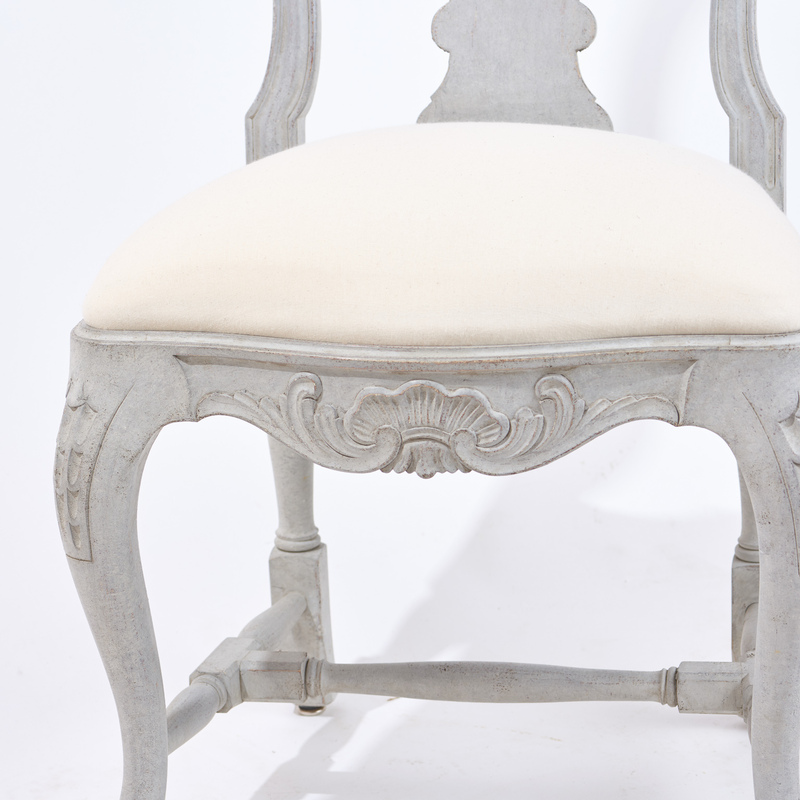 The seats have been reupholstered and are very comfortable. 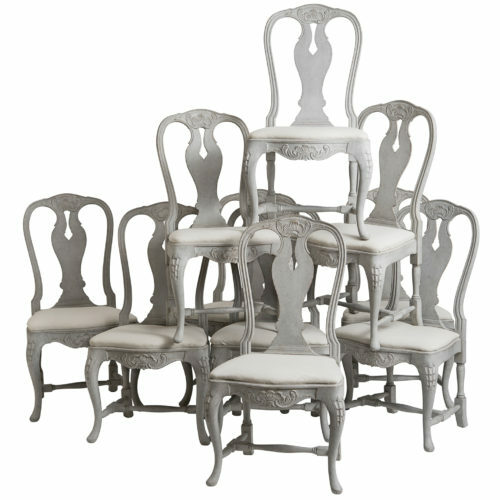 The set may be divided into even groups of four, six, or eight, priced at $980 per chair.